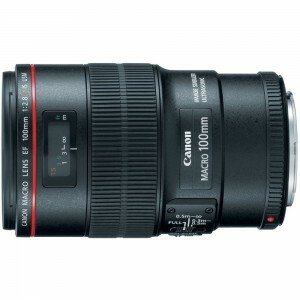 The Canon 100mm f/2.8L IS macro lens is well-suited to shooting small objects up close, as well as portraits. The macro lens has a 1:1 magnification, and the EF mount will work with both full frame and crop factor cameras (that means every Canon DSLR ever made). The image stabilization is useful for handheld video work, as well as portraiture. 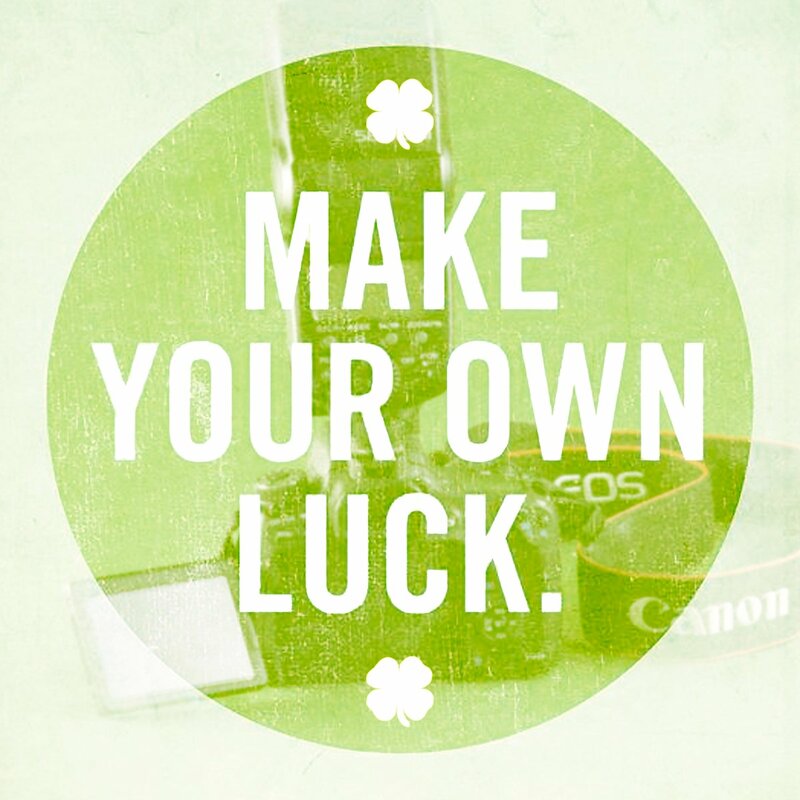 Most macro photographers will using a tripod, making IS less necessary. 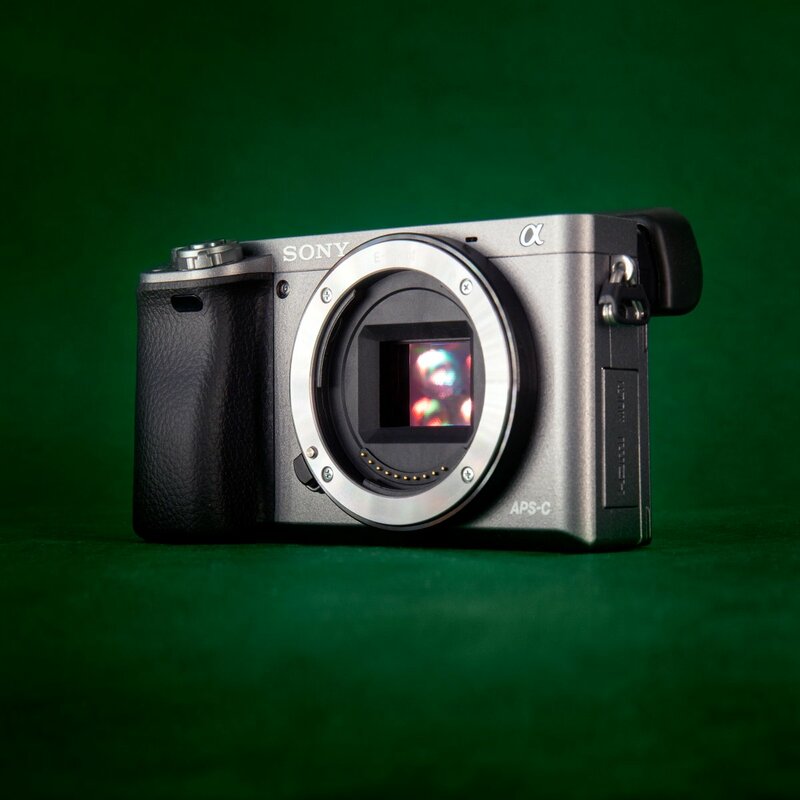 Autofocus is fast and accurate. 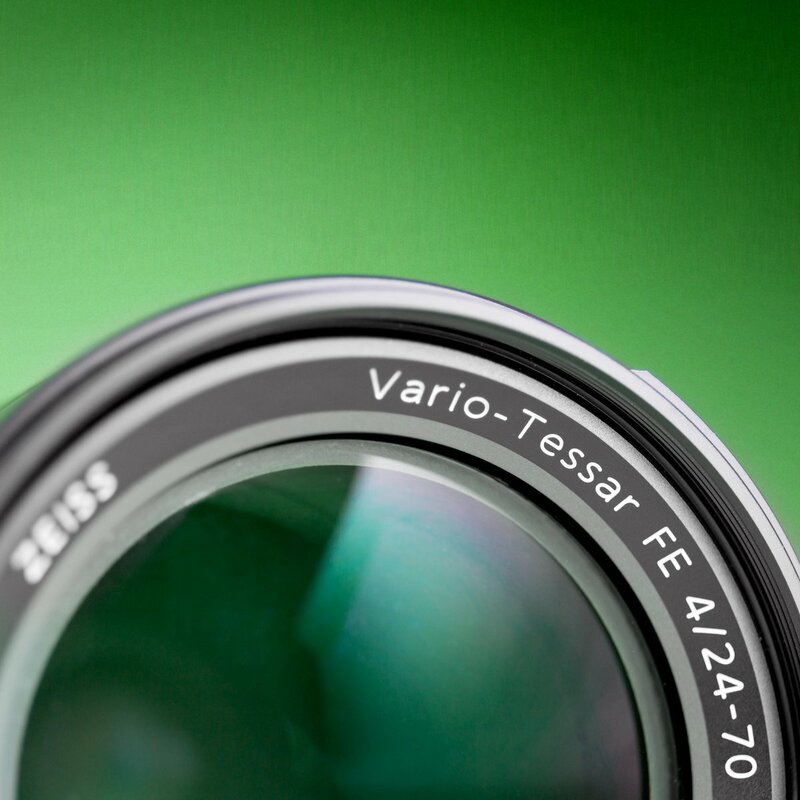 The lens accepts 67mm front filters. The lens is optically near-perfect, with remarkable sharpness, virtually no distortion, and great imaging corner-to-corner. The Sony 0.8x wide conversion lens attaches to the front of a Sony EX3, EX1, PMW-200, or PMW-300 lens, providing a wider angle of view. It is a zoom-through adapter, meaning it works at all focal lengths. 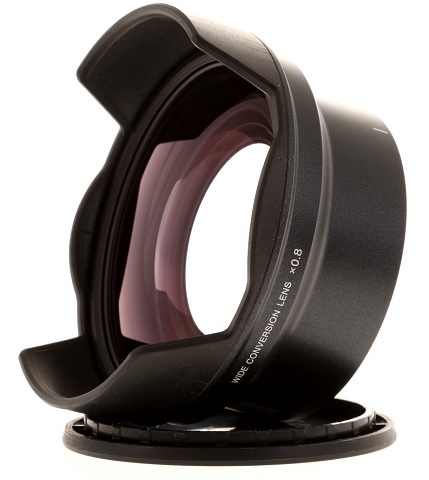 The lens adapter is a bayonet mount, replacing the Sony lens shade. It’s an excellent option when shooting with most of Sony’s ENG/EFP cameras, especially indoors or in cramped spaces. The Canon 300mm f/4L IS telephoto lens is an incredible lens for sports, wildlife, and outdoor portraiture. The extremely long telephoto is an EF mount, and will work with both full frame and crop factor cameras. 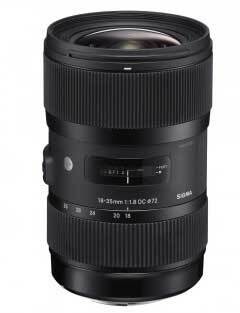 The lens, while not pocket-sized, is a pretty manageable size and weight when compared to other professional lenses in this focal range. 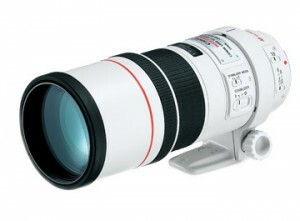 It close focuses better than any 300mm lens in Canon’s lineup. This makes it possibly the best lens ever made for faux-macro work like dragonflies, small mammals, and other tiny, skittish things. The built-in image stabilization makes a huge difference for photo and video on a lens this long. A retractable hood is built-in.The lens is exceptionally sharp even wide open, and backgrounds fall off to a beautiful bokeh. 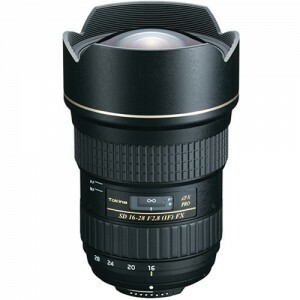 It can be fitted with our 1.4x teleconverter to function as a 420mm f/5.6 lens. Like many L-series Canon lenses, it accepts 77mm front filters. The Rokinon (or Samyang) 35mm T1.5 cine lens is identical optically to the Rokinon 35mm photo lens.Rokinon has de-clicked the aperture and added gears for focus and iris, making it better suited to shooting video. 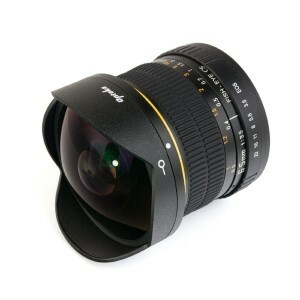 This lens has an EF mount and 77mm front filter threads. 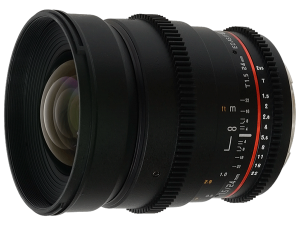 The Rokinon (or Samyang) 24mm T1.5 is a fast prime lens with cinema gears for Canon EF and EF-S mounts. The lens is fully manual, with focus and declicked aperture controls on the barrel. The lens is wide without being extreme, covering a field of view of approximately 74 degrees horizontally on full-frame cameras. 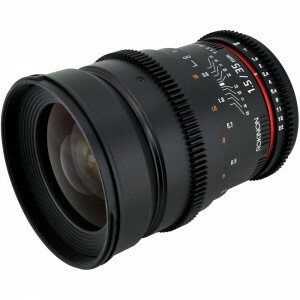 This lens matches well with the other prime Rokinon cine lens rentals we offer. It accepts 77mm front filters. 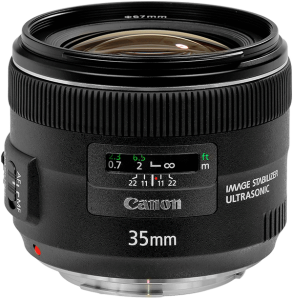 The Canon 35mm f/2.0 IS USM EF prime photo lens is the updated version of Canon’s 35mm f/2.0 lens, with improved resolution and image stabilization added. 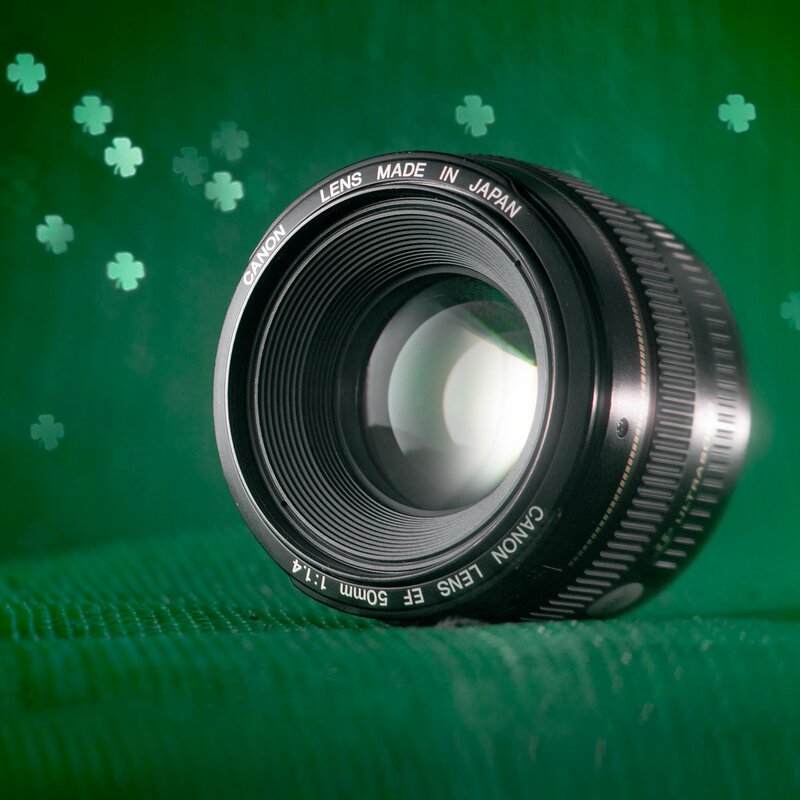 This lens works with both full-frame and crop-factor cameras, which includes every DSLR Canon has ever made. 35mm is a useful, slightly wide lens on a full-frame camera like a Canon 5D, and a “normal” lens on an APS-C sized crop factor camera. The image stabilization and high speed make it very useful indoors, for shooting photo as well as video. 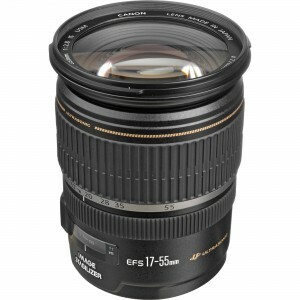 The lens has 67mm front threads.